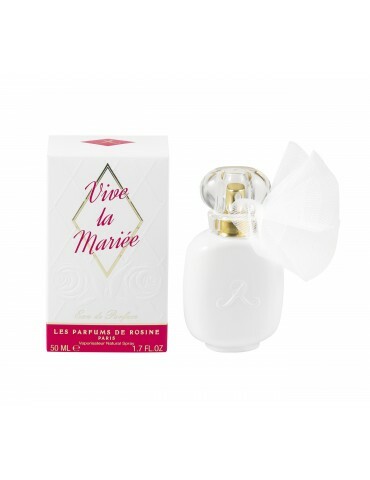 The floral composition of Vive la Mariée has been devised like a bride's bouquet, which are present rose and orange blossom. She walks on a small cloud, twirling lightly, smiling and distributing kisses. All eyes are on her. Her white dress, her long silk veil, and her delicate fragrance endow her with magic powers. A Rose Mousseline, with a white flower smell. Created in 2013 by Benoist Lapouza on a Marie-Hélène Rogeon idea. An unusual accord of rose and orange blossom.